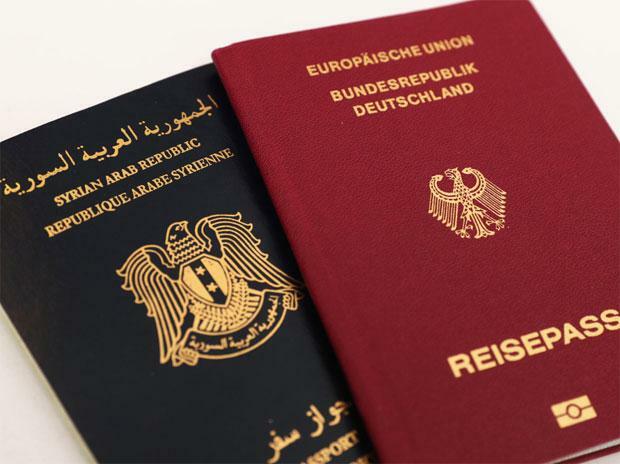 The German government plans to introduce legislation that will enable authorities to strip Germans with dual nationality of their German citizenship if they fight for a terror group abroad, officials said Monday. The move comes as Germany and other European countries consider what to do about citizens who fought for the Islamic State group and were captured in Syria. But the fact that the legislation can't be applied retroactively means the proposal is unlikely to ease the German government's dilemma on how to handle former jihadi fighters, amid worries about whether they pose a security risk and whether prosecutors can build cases against them. The government hopes the legislation will have a "preventive effect" and discourage citizens from joining terror groups. Officials said the legislation will be drawn up soon but didn't offer a precise timetable. German law already allows for people with dual citizenship to be stripped of their German nationality if they volunteer for their other country's armed forces without the consent of German authorities. Other countries have made similar moves. Neighbouring France has had a process since the 1990s for stripping French citizenship from dual nationals who carry out acts of terrorism, though it has rarely been used. Germany's governing coalition pledged when it took office a year ago to come up with tougher citizenship rules for extremist group fighters, but took until now to agree on details. Bernd Baumann, a top lawmaker with the opposition far-right Alternative for Germany party, said the proposed legislation came "much too late" and wouldn't help with IS fighters returning from Syria and Iraq. Stephan Thomae, a lawmaker with the opposition Free Democrats, described the plan as "pure display window politics" and said the government should concentrate on taking a clear position on how to deal with captured IS fighters.